AIESEC IN SWEDEN AIESEC in Sweden in one of the founding entities of the organization, having been established after World War II. Our entity has 69 years of experience in developing leaders. We are positioned in 6 cities around Sweden with Local chapters in Uppsala, Stockholm, Jรถnkรถping, Linkรถping, Gothenburg and Lund. StartUp Sweden is a cross-cultural project, where young talents from diverse environments bring added value to startups in Sweden with their entrepreneurial spirit. SIMPLE AND AFFORDABLE AIESEC makes acquiring bright and fresh minds from around the world much easier than recruiting locally. Meet your short-term skill requirement by bringing in young talents from diverse backgrounds in an affordable way. 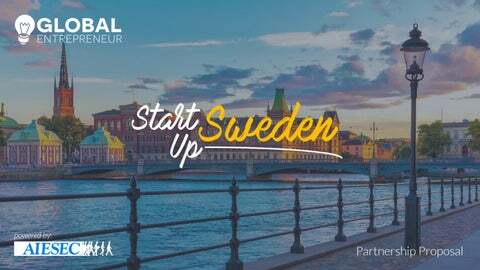 BOOST YOUR WORKPLACE Tailored to the fast-paced and dynamic culture of todayâ&#x20AC;&#x2122;s world, StartUp Sweden gives you the opportunity to engage the next genera on in your startup scene. By connecting you with high potential young people who are eager to explore, your workplace can evolve with an international edge. ENABLE YOUTH Hire interns who are passionate to learn and contribute to your ventureâ&#x20AC;&#x2122;s purpose as much as you are. Enable a fulfilling experience for them as they keenly take on challenges that a startup workplace brings with it. To minimize training and integration efforts in your team, startups choose from four specific job descriptions for their interns, which directly address tasks that startups typically need to complete. External research of trends and international market analysis for company’s sector. Define target market for the startup’s product. Market research of new clients. Marketing mix definition for international market. Translation of international marketing materials for strategies. Analysis of current and ideal state of the startup. Generate SWOT analysis of the startup. Develop implementation plan for new channels and communication strategies. Analyze current and ideal state of startup. Development of main needs of the startup in terms of company administration and support for managers. Implement marketing and positioning operation plan for the startup focus. As an AIESEC entity, we provide your organization and your interns with constant support in logistics, accommodation job description and learning and development spaces. To keep our process fast and efficient, we will present a shortlist within a few days from opening applications and complete the final selection within 14 days in total. PROMOTING OPPORTUNITY After uploading your opportunity on our online portal, we will promote it through various channels and candidates will apply. 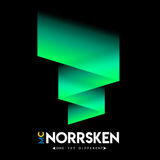 SHORTLISTING Once we receive applications we will proceed to pre-screen the candidates. This entails us screening their CVs. After reviewing the application material we will compile a shortlist of the most suitable candidates. FURTHER SCREENING After we present you the shortlist, you will rank the candidates. and after reviewing the application material, select up to 5 candidates best suited to your position. An interview will be arranged with you and the final shortlisted candidates- Optional: you even offer them any kind of additional testing. FINAL SELECTION The last step of the selection process is to make the final hiring decision. If you decide to employ multiple interns, you can receive them all at the same time or have them come continuously throughout the year. OBS: The first arrival can happen at any time. This timeline is an example. MANAGEMENT FEE Paid on intern’s arrival. Reception preparation, Intern pick-up on arrival, Intern assistance, Intern integration. Search for accommodation. Provide accommodation options for trainee. Get to know more about our Global Entrepreneur product for StartUps!